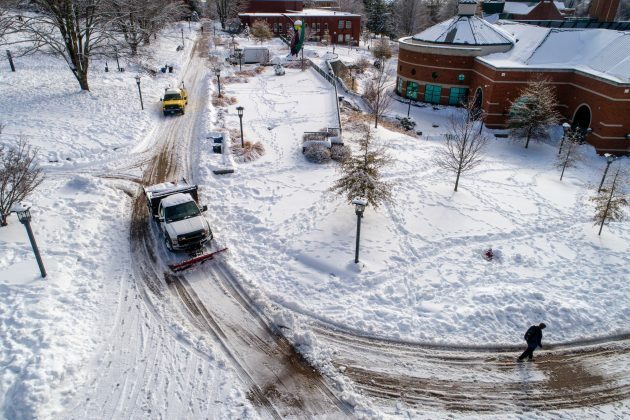 BOONE, N.C. — As Appalachian State University students took their final exams in December 2018, the university’s Physical Plant, emergency response teams, Food Services and Parking and Transportation personnel were undergoing tests of their own. Winter Storm Diego deposited more than 18 inches of snow on campus in a span of 30 hours, exceeding the total snow accumulation for the entire 2016–17 season. 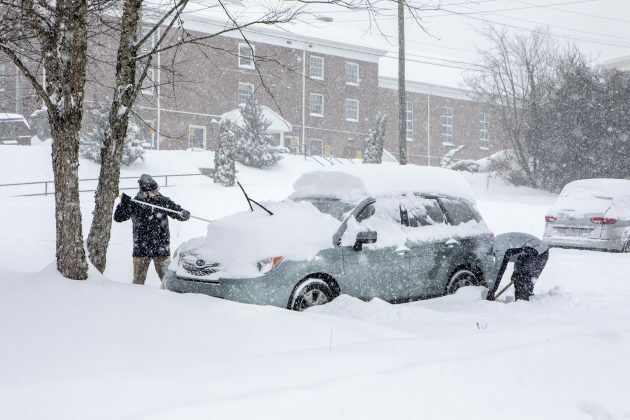 The storm’s magnitude, combined with its timing during exam week and the impending exodus of students leaving for winter break, spurred major efforts by Appalachian’s campus operations personnel, who had plans in place to manage the event. Following the storm, departments met to review issues and discuss best practices for handling future snowstorms of Diego’s caliber. As the snow began to fall on Saturday, Dec. 8, Food Services personnel, equipment operators, mechanics and other critical staff, whose services were required, checked in to local hotels to be readily available. Application of salt on roads and sidewalks began immediately, and snow removal crews began round-the-clock work to clear snow from roads, parking lots and sidewalks. An estimated 63 tons of snow fell on campus bridges, sidewalks and parking areas. Crews worked 12-hour shifts and ran equipment continuously, tallying almost 1,700 hours by Motor Pool mechanics, grounds crews and Environmental Services staff over a five-day period. Physical Plant Director Jeff Pierce said the biggest challenge was where to put the high volume of snow once it was pushed. Appalachian brought in contractors with skid loaders, backhoes and trucks to remove some of the piles from the parking lots and roadsides. Food Services remained open and operating throughout the storm, serving 17,305 individuals, including students and emergency staff. The Department of Parking and Transportation fielded calls for help during and after the storm, dispatching assistance to stranded motorists. Parking and Transportation staff dug out over 430 cars by hand. Parking officers worked shifts to manage free parking at the Rivers Street Parking Deck. Food Services worked with suppliers to have enough food delivered to sustain campus needs through the storm and its aftermath. Plows and snow clearing equipment were readied for use by the Physical Plant. Due to the anticipated snowfall, local contractors were engaged to supplement the campus’ snow removal team. Emails from Emergency Management were sent to students and staff with information on how to prepare for severe weather and how to stay informed about changes in schedules and available campus operations. Students were advised not to drive in severe weather and to have a readiness kit prepared. Barry Sauls, director of parking and transportation, said hundreds of student vehicles were stranded on the main campus during the storm, and thousands more cars were buried in remote lots. As students finished exams and started to head home for the winter break, snow clearing efforts had to be stepped up. “A lot of people worked tirelessly to help the campus community through this storm,” Sauls said.